A computer or any other suitable device with internet access. Step 1: Open your favorite web browser and go to ebay.com. Step 2: If you have an account, sign in. 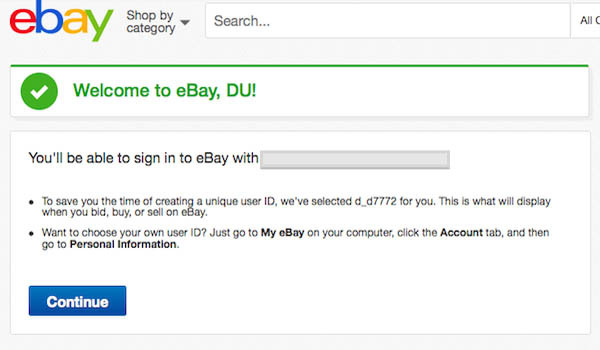 If you don’t, click the register icon which is located to the top left near the eBay logo. 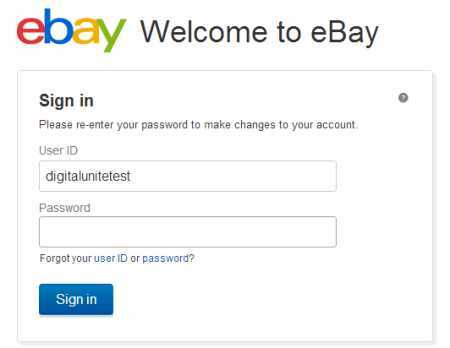 Step 3: To register for a new eBay account, you will need to provide some information like your name, email, and password. Once you’ve finished, click the ‘Submit’ button down the form. Step 4: A box will pop-up confirming the email that you have chosen. Click ‘Continue’ to proceed. Step 5: Now you are on the eBay homepage. Click on ‘Sell’ which can be found at the top of the screen. The ‘Update your information’ page will now appear on the screen. Write your address details and press ‘Continue’. Step 6: On this page you can now start to list your products for sale. Just write your item’s title in the given box and click ‘Get started’. Step 7: A new page will open that shows a step by step guide on how to make your listing. 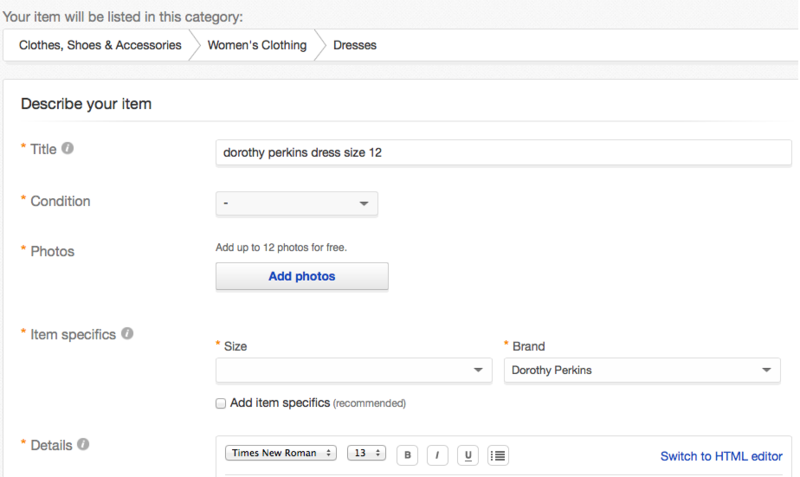 It shows you how to name your item, how to upload images of your item and what the fee is to list the item. Step 8: Once you’ve finished adding all details for your listing, press ‘List with displayed fees’ down the screen. Step 9: A new page will open. 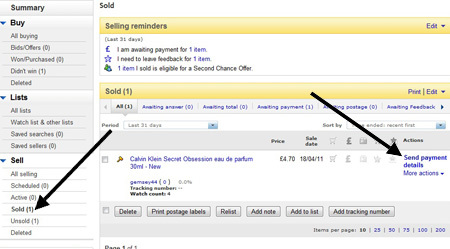 Here you can see how your listing will look to buyers before it’s published on eBay. Press ‘Continue’ if you agree with the look or click ‘Edit listing’ if you want to modify it. Step 10: If you have previously sold a product then your listing will now be published. (If you have, go to step 15). 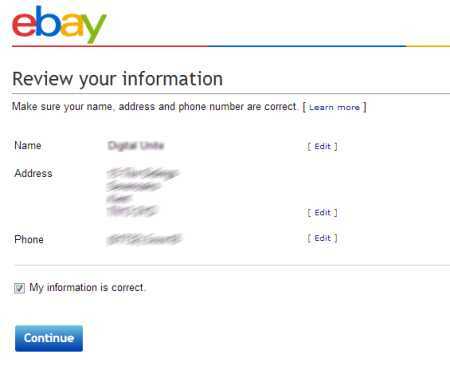 However, if it is the first time you have listed on eBay, a new page will appear, asking you for additional details. Click ’Continue’. 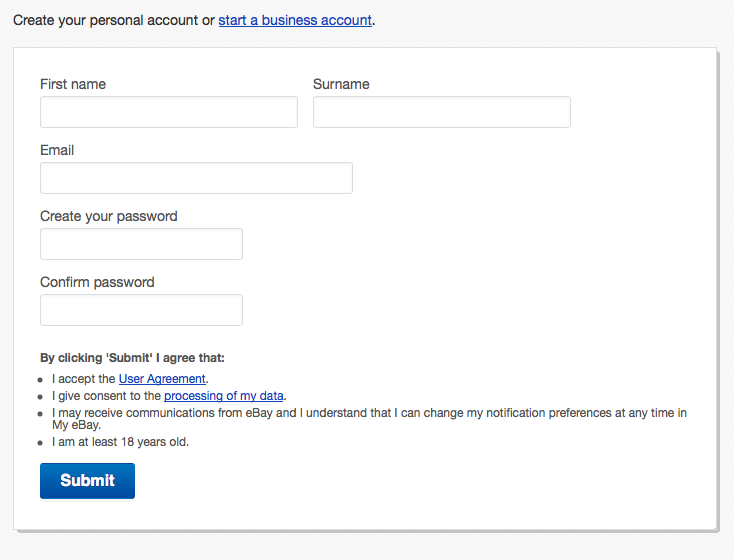 – Now make sure your account information is correct. After that, click ’Continue’. 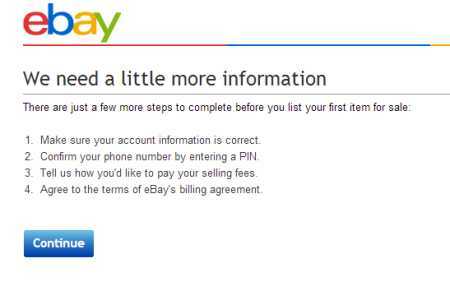 Step 11: Now wait for a minute or two while eBay verifies your account information that you provided. After this, you will be directed to a new form to verify and confirm your phone number. 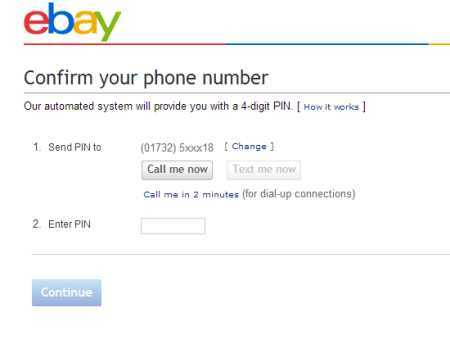 Press the ‘call me’ button in order to receive your PIN code via eBay’s automated system. Once you have the PIN, enter it into the PIN box. Then press ‘continue’. Step 12: Now you will need to log in again. Step 13: As you might know, eBay charges a small fee for successfully sold items. Being a seller, you will also be paid for your sold items; therefore it is mandatory to configure your payment. Choose your payment method and complete your card and PayPal details, if applicable. Once finished, click ‘continue’. 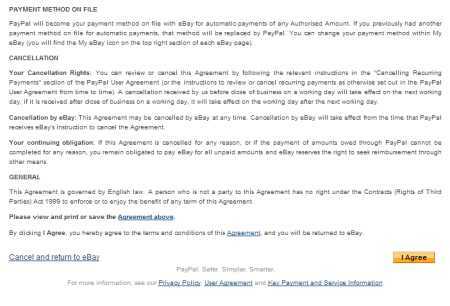 Step 14: If you select PayPal, read the user agreement carefully. If you agree, press the ‘agree’ button. Now a new page will open. You can either chose to edit your listing if something is wrong, or if you are completely happy with your listing, click on the ‘place listing’ button to post your listing on eBay. Step 15: Congratulations! Your product is now live on eBay. 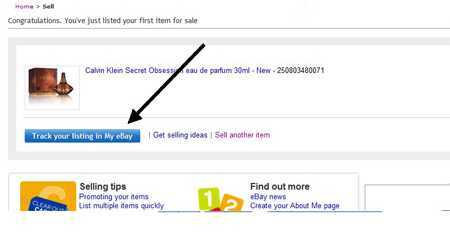 You can click the blue button that says “Track your listing in My eBay” to check if someone bids or buys your product. 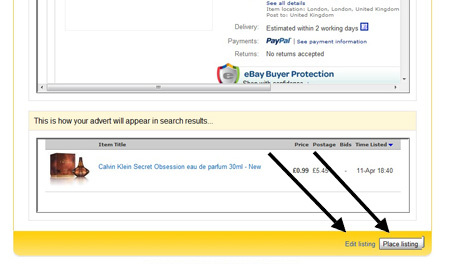 Alternatively, you can click ‘My eBay,’ which is located at the top of the screen. Try to respond to your customers’ questions promptly to make more sales and get positive feedback. Step 16: If your item is sold, you will get a notification email from eBay. Go to “My eBay” and click on ‘sold’. Now you will see your item’s name and the price it sold for. Click ‘Send payment details’ to send an invoice to your buyer. 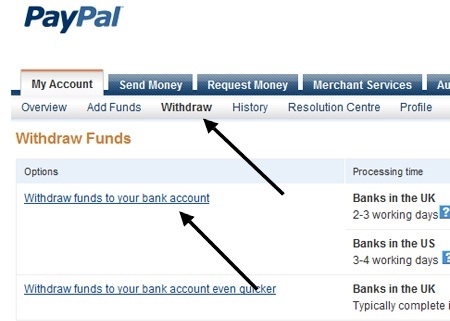 If you are using PayPal, the invoice will be generated automatically for you. 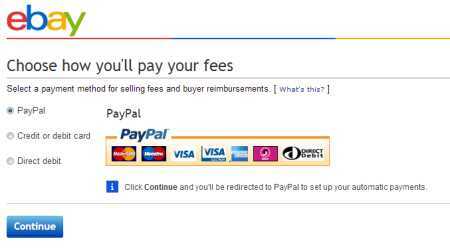 Step 17: Once your payment has been received, you will get a notification email from PayPal. Now log in to your PayPal account. You will see that it’s been credited with your item’s price, minus PayPal’s fee. If you want to withdraw the money to your bank account, click ‘withdraw’. Step 18: Now pack your item securely and ship it within the time mentioned. 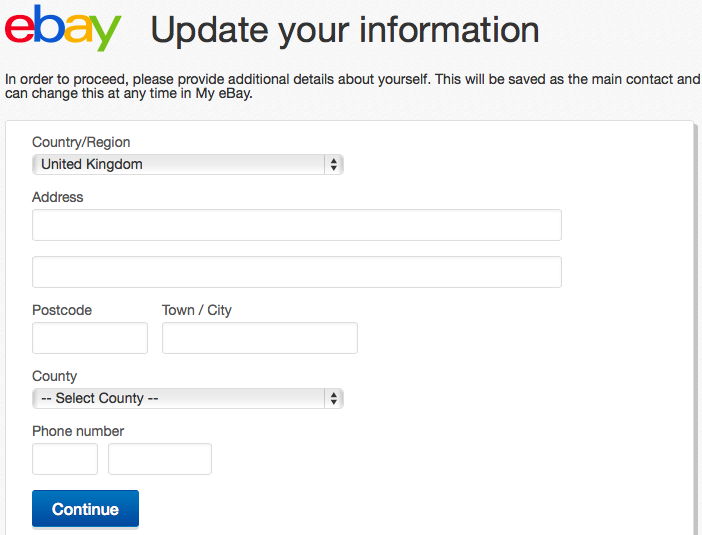 Once your item has been sent, return to “My eBay” and click ‘sold’ once more. To let the buyer know that their item has shipped, go to ‘more actions’ on the right hand side of the screen and click ‘Mark as dispatched’. To find wholesale products and drop shipping companies, you can read this salehoo review. 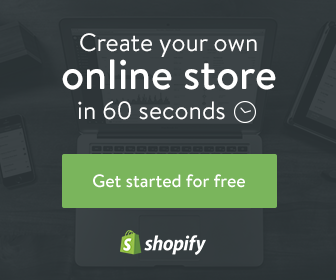 Additionally, you can browse our website www.2dropshipping.com for more helpful details on drop shipping businesses. Finally, I hope that by now you’ve got some ideas on how to sell on eBay, and I wish you success in selling your items. If you find this post valuable, please share it with your friends on social media. 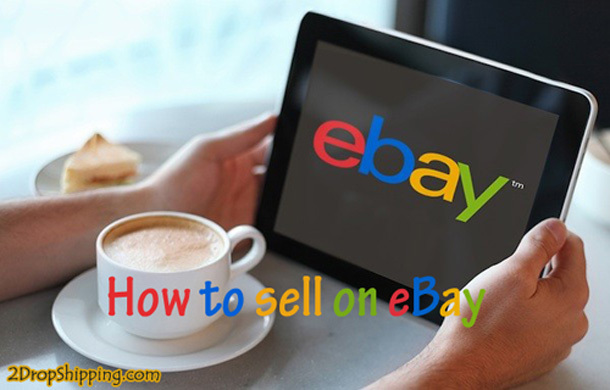 how to sell on eBay guide walks you from opening your ebay account to start selling your items and get money on ebay. What’s the Right Price for Your Products?